The Pelican UNISON 136T blends polished design with outstanding overall performance. 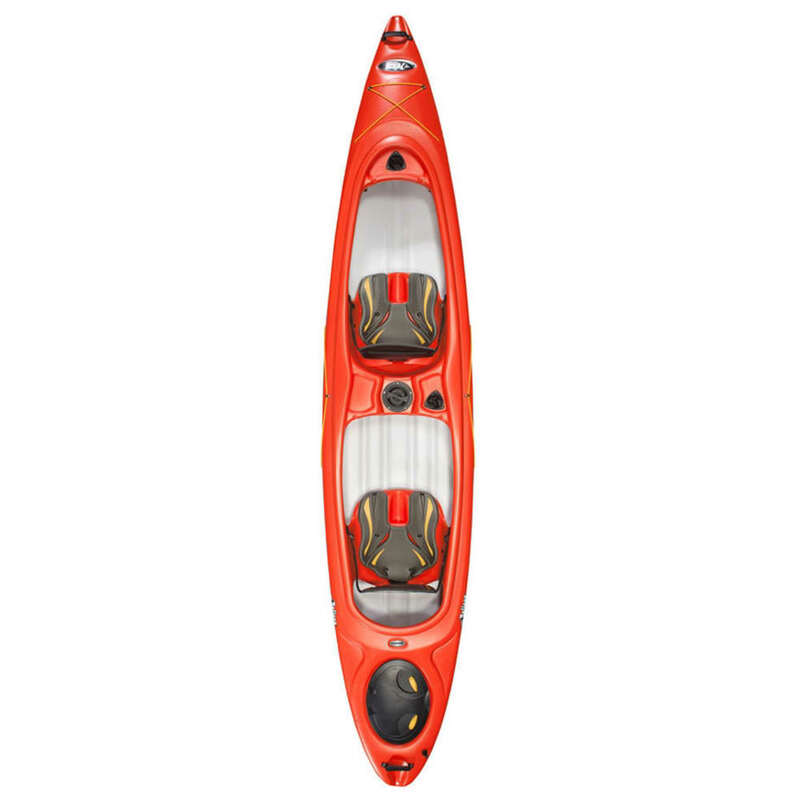 Built on a multi-chine flat bottom hull platform, this sit-in tandem kayak provides a high level of stability, great maneuverability and tracking, and superior capacity. Pelican used extensive computer modeling in its design process to reduce drag, improve tracking and cruising speed. 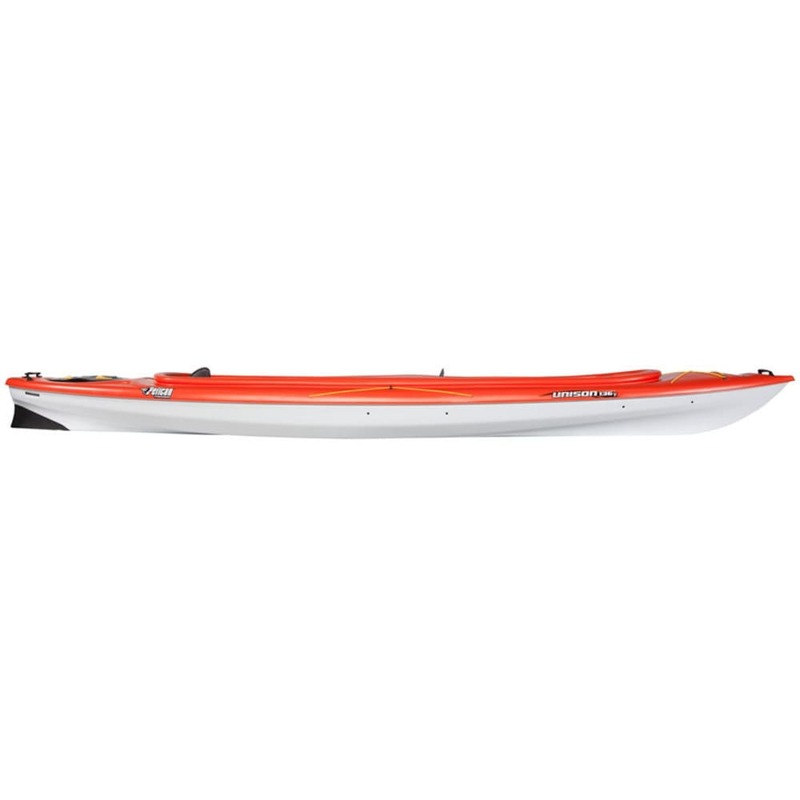 The UNISON 136T features adjustable footrests and the ERGOFIT seating system for increased comfort, a quick lock hatch with a 60 L storage bag, a cockpit table with a 4" day hatch and a bungee cord to store your personal items, paddle tie-downs and a keel extension. Made of RAM-X™ PREMIUM, a multi-layer polyethylene with an advanced resin providing significantly more rigidity than standard polyethylene, it is lighter, stiffer and stronger. 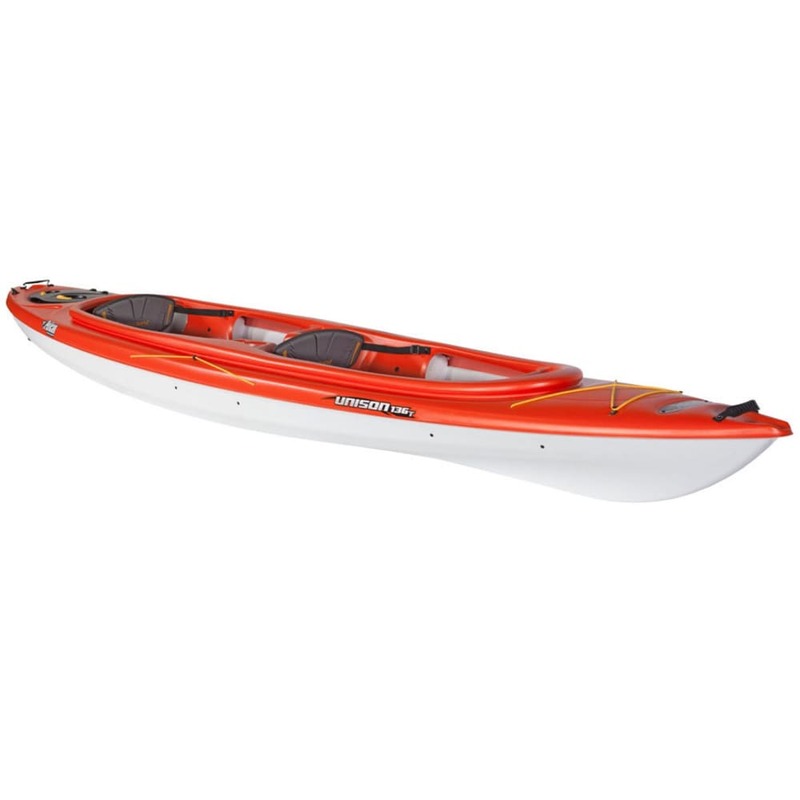 The Pelican UNISON 136T is the perfect kayak to create memorable paddling stories in pairs worth sharing with everyone. See you on the water! Cockpit Size: 102 x 26.5 in.